How we begin saving in January to be Secret Santa in December. Ahhhh January. The month of new beginnings. Fresh starts. Resolution’s and goals. A month where we clear out the clutter in our life, figuratively and literally, and decide what we can do to make our life a little better than it was before. Which brings me to December. The month of giving and sharing. Where we try to focus more on others than ourselves and look for those who may be in need of charity and service. My family has a favorite family tradition in December. We choose a family in need. Either from the neighborhood, a local giving tree, or any other we may hear about who is down on their luck. We then play the part of Secret Santa. We go to the store, buy the gifts on this families want and need list. We wrap the presents up in beautiful wrappings and bows and secretly deliver them to where they need to go. We look forward to this tradition every year. I love teaching my kids to serve others. I love that through service they are humbled and learn how lucky (maybe even a little spoiled!) they are in comparison to others. And I love the thought of bringing a smile to someones face come Christmas morning. Did I mention I LOVE this tradition!?! December also just so happens to be the month that is hard for us (maybe you too???) to stick to our monthly budget. We try to plan ahead for it. We try to cut down costs. But, we still found ourselves struggling to afford all the fun festive activities and gift giving we wanted to participate in. As we discussed what we would cut out I refused to limit our Secret Santa tradition. And so we came up with the beautiful idea of The Giving Jar. 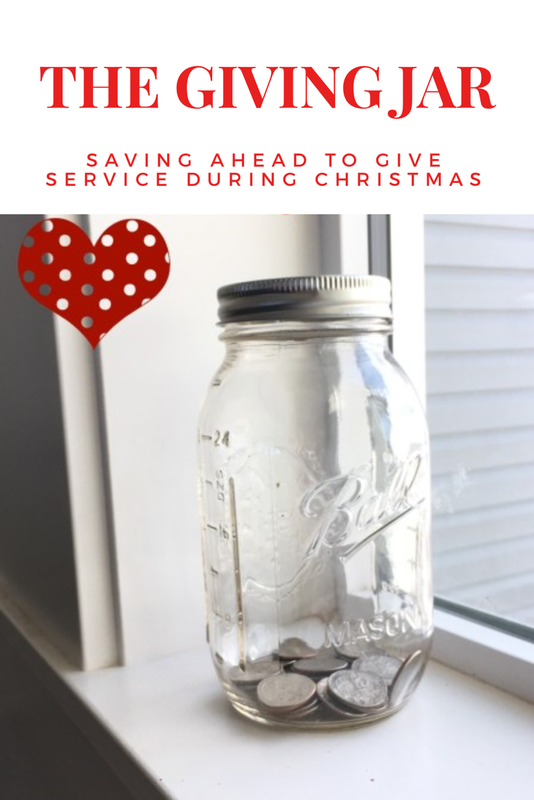 I grabbed an old junky used mason jar from our basement, cut a small hole in the top and named it The Giving Jar. 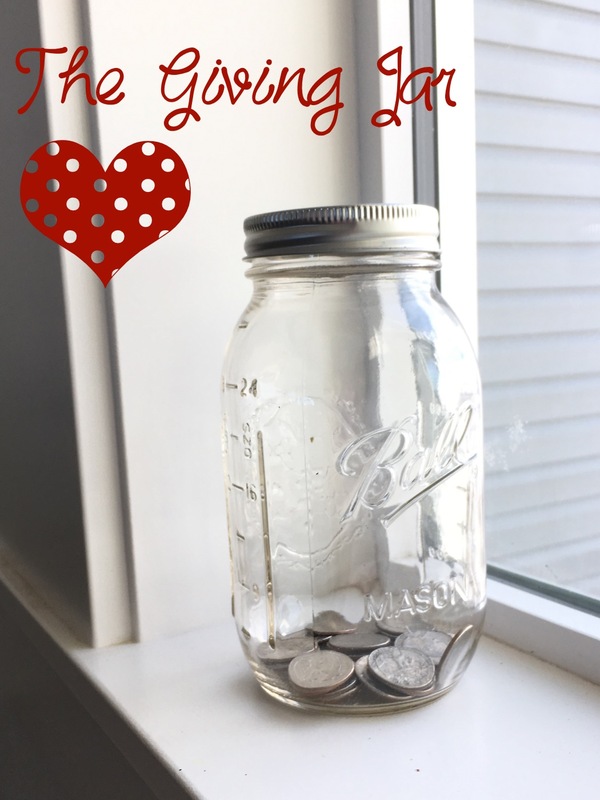 As the fresh new month of January begins, our Giving Jar sits empty. As the year goes on we as a family puts every single coin we receive into the jar. And when December comes a long our jar is full. This is the money we use for our Secret Santa tradition. I love that old junky mason jar. I love watching it fill up throughout the year. I love when one of my kids tries to stuff some newly earned dollar bills inside. And I love watching my kids as they proudly carry it into the store as we purchase gifts for others. It’s pretty cool how something old and used could become something so beautiful and special and can do so much good for others…..including me. This is a good idea. We have a very neglected piggy bank at home. I need to start back saving!